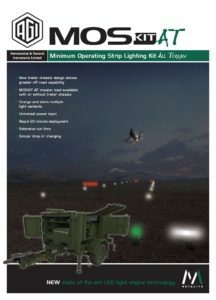 Capitalising on Metalite’s extensive experience of creating portable deployable Airfield Lighting Systems, the ALL NEW MOSKIT LED All Terrain is a complete ground up redesign of the existing highly successful MOSKIT system. Using the new NVG capable PAPI LED units, the MOSKIT LED-AT now benefits from consolidating 4x NVG PAPIs and 2 TAC PAPIs on the original halogen MOSKIT down to just 2x PAPI LED Light units providing a quicker and easier deployment of a Minimum Operating Strip. Drop in charging for OREL LED and REIL LED light units also lowers the deployment and recovery speeds of the new MOSKIT LED-AT system. 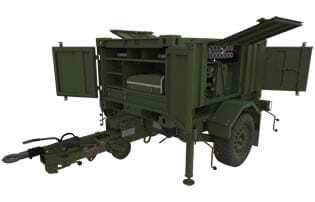 Removable mission loads allow the trailer chassis or container to carry options for additional lighting allowing expansion into a larger and/or semi-permanent airfield by using the SALKIT and CABKIT mission loads.